Amritsar: The Shiromani Gurdwara Prabhandak Committee (SGPC) chief Gobind Singh Longowal has announced that a Gurdwara Sahib will be build in Baku city of Azerbaijan to mark the memory of visit of Guru Nanak Ji. A written statement issued by the SGPC, copy available with the Sikh Siyasat News (SSN), said that the Indian High Commission took initiative to hold a Samagam in Baku. The samagam was dedicated to 550th Parkash Gurpurab of Guru Nanak Ji, which falls later this years. 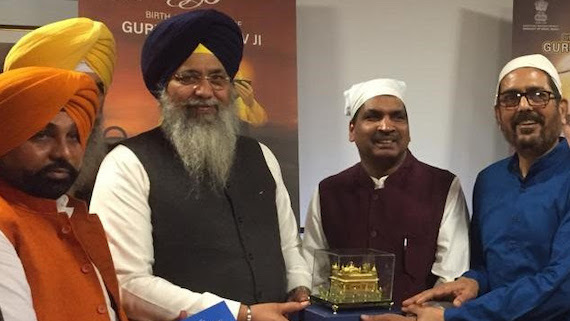 The SGPC chief said that the Indian High Commission has assured the SGPC to hold talks with local authorities to get the land for building a Gurdwara Sahib in Baku.